There have been several people online pointing out that you can't buy a Lumia 950 or 950 XL flagship from Microsoft in the UK anymore - they're now firmly 'out of stock'. Noted, and I've done some research and discovered, in an update to an article I did two months ago, that the stock position of the two flagships has become sparse across many other Microsoft device stores online. See the table below. 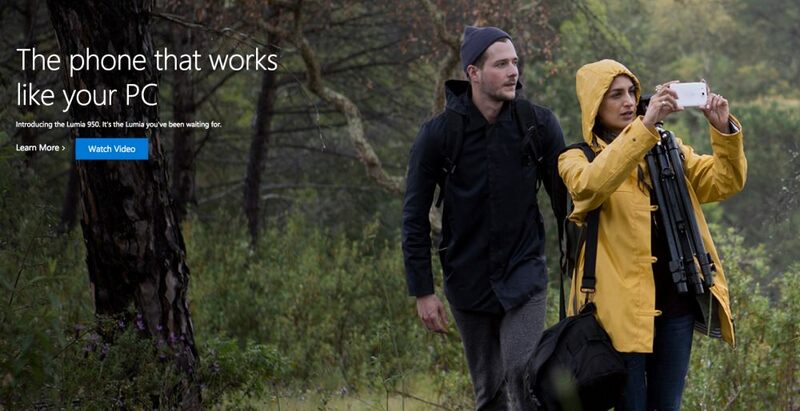 Curiously, despite all that's below, Microsoft continues to flag up the Lumia 950 range in huge graphics on many pages on its sites. This is a typical example. Leading the user on and then.... dashing their hopes with 'Out of stock' scross the board. With the gradual dismantling of much of Nokia's manufacturing capacity and distribution/support network, Microsoft clearly isn't in the mass market smartphone business in the same way that Nokia hoped to be. Microsoft's new hope is that third parties will step in and use Windows 10 Mobile for their own smartphone projects - I covered most of these here, though most people won't have heard of the companies concerned and it's looking unlikely right now that many of these projects will be a big success. All of this is a conscious strategic decision by Microsoft, rightly or wrongly. The HP Elite X3 is blazing something of a flagship trail across the world, it's true, but this is very much at the extreme high end and is aimed unashamedly at businesses. Apart from this and a few budget phones, new models have been few and far between. The Alcatel IDOL 4S with Windows 10 looks good but is only available on one USA carrier, while the Acer Jade Primo that promised so much last year never really materialised (I've never even held one!) There are rumours of another HP device, set in the mid-range, to be announced at CES or MWC next year - I'll cover that as and when it happens. Note that by 'None' I'm paraphrasing messages on the relevant pages along the lines of 'Out of stock' or 'Let me know when this comes back into stock' or 'Pre-order here' or (very misleadingly) 'New! - Play video'! It's also possible that in some markets the relevant models and colours were never available via the Microsoft site (i.e. direct) in the first place. That's a lot of red then, confirming that stock is indeed being run down across the Microsoft Store world. You can still buy the Lumia flagships from resellers in all countries, of course, as they wind down their own stock, but it looks like manufacturing stopped earlier this year and that new Lumia 950/950 XL units will be almost impossible to find in 2017. 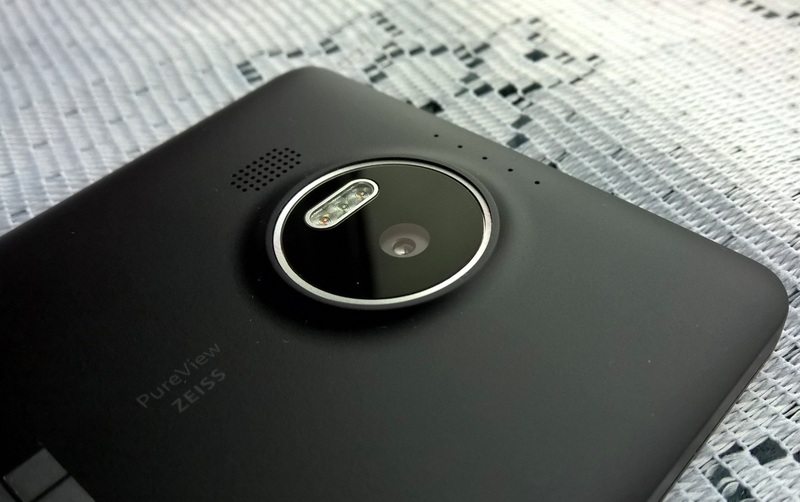 Which is a crying shame - there's still much to recommend the Lumia 950 and 950 XL, not least the cameras, which remain world beaters even a year after their launch. And with the ongoing march of Windows 10 Mobile as an OS and its UWP apps shared with the desktop, and with the flexibility of the hardware (replaceable backs and replacement batteries) there's no reason why a Lumia 950 or 950 XL shouldn't remain in happy service for a few years. After all, we still have many people with Lumia 830, 930 and 1520s contributing to the AAWP community and story comments. By the way, if you'll permit me a small rant... I can't stand the way media gleefully report (sales) marketshare for 'Windows Phone' tumbling towards zero. Given that there's almost zero marketing by Microsoft and you'd do well to even find devices to buy in many countries now, it's not surprising that sales figures are almost non-existent. In other words, it's not as if users are actively choosing between iPhone, Android and Windows 10 Mobile, all presented equally - they're being presented with the first two only in almost all shops, carriers and situations. New Lumia 950 sales may be dying out then, though the platform, apps and ecosystem are improving monthly - in the AAWP community we're in a curious hiatus at the moment! Comments welcome, of course.